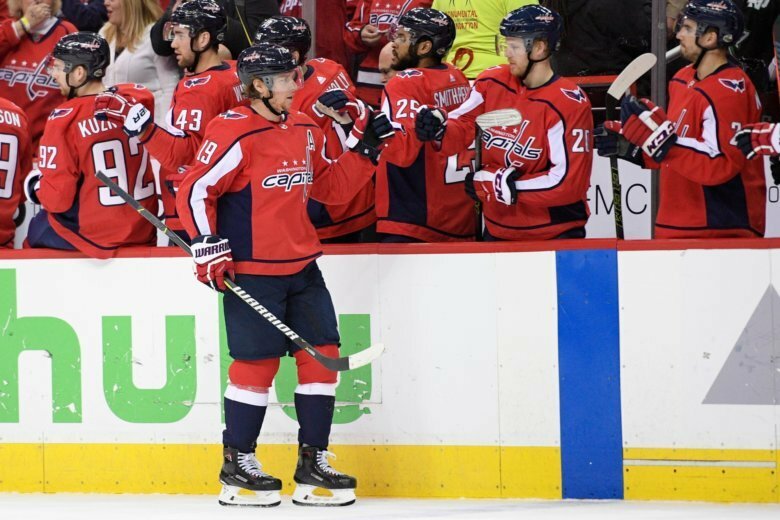 WASHINGTON — Nicklas Backstrom returned to the Washington Capitals lineup Thursday night in Game 4 of the Eastern Conference Final against the Tampa Bay Lightning. Backstrom had missed the previous four games with a hand injury. On the eighth anniversary of Backstrom signing a 10-year, $67 million deal, the second-longest tenured player in the organization is appearing in the Eastern Conference Final for the first time in his NHL career. Hear the highlights of Game 4 (below) as called by John Walton and Ken Sabourin on the Capitals Radio Network. UPDATE I: Dmitry Orlov gave the Capitals an early 1-0 lead at 4:28 of the first period with a blast that beat Lightning goalie Andrei Vasilevskiy. Orlov’s second goal of the playoffs was assisted by T.J. Oshie and Matt Niskanen. It marked the 12th time in 16 games this spring that the Capitals opened the scoring. The lead didn’t last long, though, as Tampa Bay pulled even just 1:10 later as a Michal Kempny turnover led to a Lightning goal for Brayden Point. UPDATE II: The Capitals entered the second period trailing 2-1 (Tampa Bay took the lead on a Steven Stamkos power-play goal in the first period), but Washington would pull even early in the second. Evgeny Kuznetsov used a burst of speed down the left wing to get by Lightning defenseman Victor Hedman, before beating Vasilevskiy for his 10th goal of the playoffs. Kuznetsov’s tally pulled the Capitals even, 2-2, with 14:42 remaining in the second period. Kuznetsov now has 21 points in the playoffs, tying a franchise record for most points in a single playoff campaign (Alex Ovechkin had 21 points in 2009). UPDATE III: The Capitals were the better team for large stretches of Game 4, but they still fell 4-2 to Tampa Bay. The series is now even at two games apiece with Game 5 Saturday in Tampa. Alex Killorn scored the eventual game-winning goal for the Lightning with 8:03 remaining in the third period, just six seconds after the Capitals killed off Lars Ellers’ second minor penalty of the game. Anthony Cirelli sealed the Tampa Bay win with an empty-netter in the final seconds of regulation. The Capitals outshot the Lightning 38-20, with Vasilevskiy making 36 saves for the second consecutive game. Tampa Bay went 1-for-2 on the power play, while the Capitals were 0-for-4 with the man advantage.